Tim Thorlby is CTC’s Development Director. He leads our work on missional enterprise and is also a Director of Clean for Good. Here he gives an update on our work with Clean for Good. Since 2014, CTC has been working in partnership with a team of churches and Christian charities to develop, secure investment for and launch a brand new, ethical cleaning company for London – Clean for Good. CTC is a founder investor. Since Clean for Good launched in February 2017, our hard-working team have securing their first contracts. Clean for Good now cleans community centres, city offices, charities and churches across Newham, Tower Hamlets, Islington and Camden. As any start-up business will tell you, getting started is not easy and the first year in particular is nerve-wracking, as we try to establish ourselves – but, so far so good. Why does Clean for Good matter? Because amidst the low pay, job insecurity and poor working conditions prevalent across much of the cleaning sector, we are a different kind of cleaning company. Clean for Good provides excellent cleaning services to our customers – but also values and respects our cleaners. 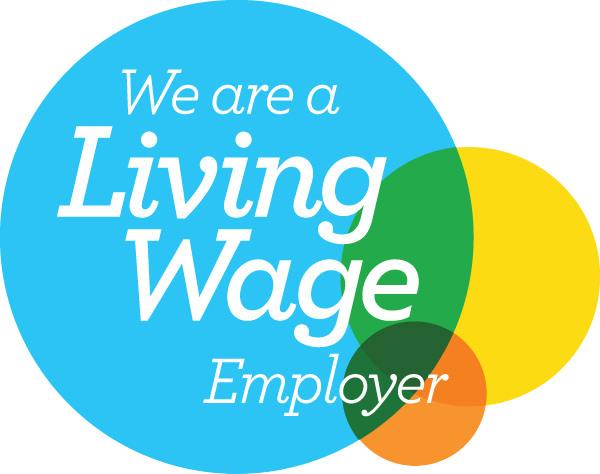 That is why we are an accredited Living Wage Employer. Our promise to our cleaners is to pay them fairly every day (the London Living Wage or above), to manage them well and to invest in their training and development. We believe that cleaning matters and that cleaners matter. We want to change how cleaning is done, from a ‘last resort’ job to one that is truly valued. Our newest recruit in Newham was earning £5 an hour in a local chicken shop and £7.50 per hour doing part-time cleaning. She now earns £9.75 per hour working for Clean for Good (which is the London Living Wage, 30% higher than the Government’s minimum wage) and is receiving professional management and training. We are investing in her because she matters, and so does her work. 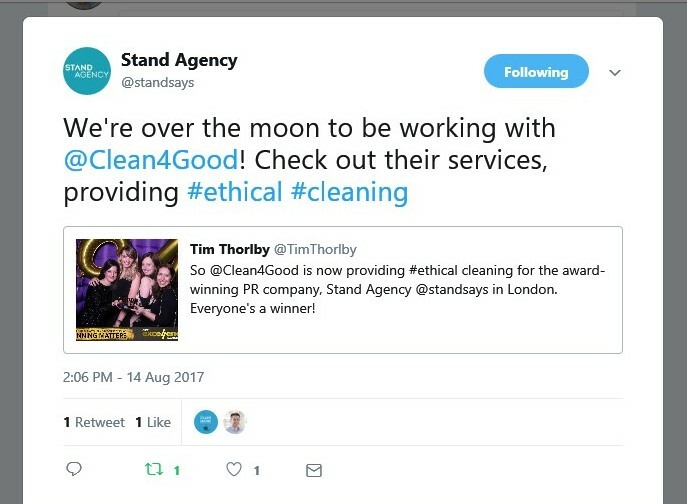 So Clean for Good is a business with a social purpose – a business which is good for our customers, good for cleaners and good for London. It was established by churches and Christian charities because we have a vision of what ‘good work’, ‘fair wages’ and ‘good business’ looks like and we want to see more of it in London. When are the cavalry arriving? Government reviews and revised employment regulations may be part of the answer, but the real sustainable answer to a fairer economy lies entirely in our own hands. How do we make the change in the cleaning sector and get more cleaners working in good jobs and less working in bad jobs? The answer – and the power – lies with the thousands of employers in London who contract out their cleaning services. Put simply, employers (public, private, charitable) need to stop buying cleaning services from companies who don’t treat their cleaners well and start buying cleaning services from good companies who operate fairly. Cleaners continue to work for minimum wages and in poor working conditions because their paying customers allow it to happen. Every employer should be a socially responsible employer and this is what it looks like with respect to cleaning. The power to make this change lies entirely in the hands of each customer. We don’t need to wait for anyone else to turn up – it’s up to us. Does your organisation commission cleaning services? Do you know who your cleaners are? How are they treated? What do they actually get paid? Find out. If you don’t like the answer, you can move the contract to a more responsible provider. Clean for Good is one such provider, designed to provide a better alternative. Join us in the work revolution. Let’s make London a fairer city. You can contact Clean for Good through its website and on Twitter.